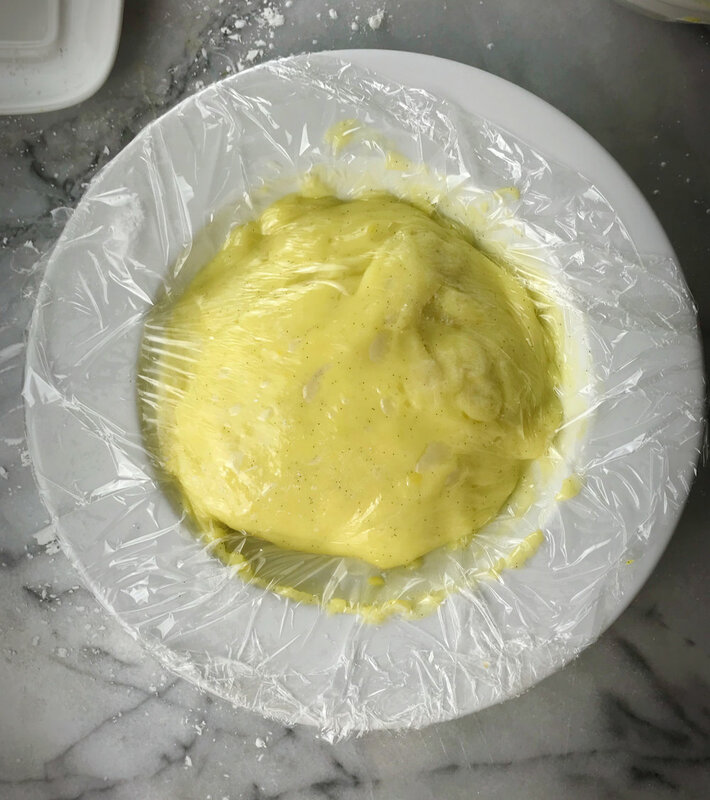 I am sure there are a million pastry cream recipes out there, but I’ve been using this modified version of a Martha Stewart recipe for as long as I can remember. I use it in cream puffs, tarts, pavlovas- you name it, I find a place to use it. I make french macarons for the holidays and I am always looking for a way to use the yolks. I hate wasting food!! The beauty of this recipe is that you can make it a few days in advance which is a MAJOR plus for me! I find I’m always busy, so if I can break desserts down and make ingredients over a few days- that’s perfect for me! Another big plus is that this is naturally Gluten Free. I happen to have a few people in my life you have mild to severe gluten allergies. I’m always thankful to have a few tried and true gluten free recipes in my arsenal. A friend of mine, who is lactose intolerant, tried a diary free version of this mixing almond and thai coconut milk. I haven’t tried it myself, but she had positive results. Let me know if you try it and how it worked out! Like I said above, this recipe if a slightly modified version from an old Martha Stewart recipe. I increased the cornstarch to 2 tablespoons. The original called for only 1 tablespoon. Sometimes, I will add three tablespoons for extra thickness- it depends on what I plan on using it for. The point here is you can be a little flexible on the starch- bit stay true on the milk/ egg/ sugar ration- they work! 1. Add milk, scraped vanilla bean & pod (or extract), and 1/4 cup sugar to a medium sauce pan. On medium heat, heat milk until sugar is dissolved and milk is scalding. (When milk starts to form little bubbles around edge of saucepan). Do not boil. Remove from heat. Remove vanilla pod. 2. In a separate bowl, mix egg yolks, cornstarch and 1 tablespoon sugar until well blended. 3. 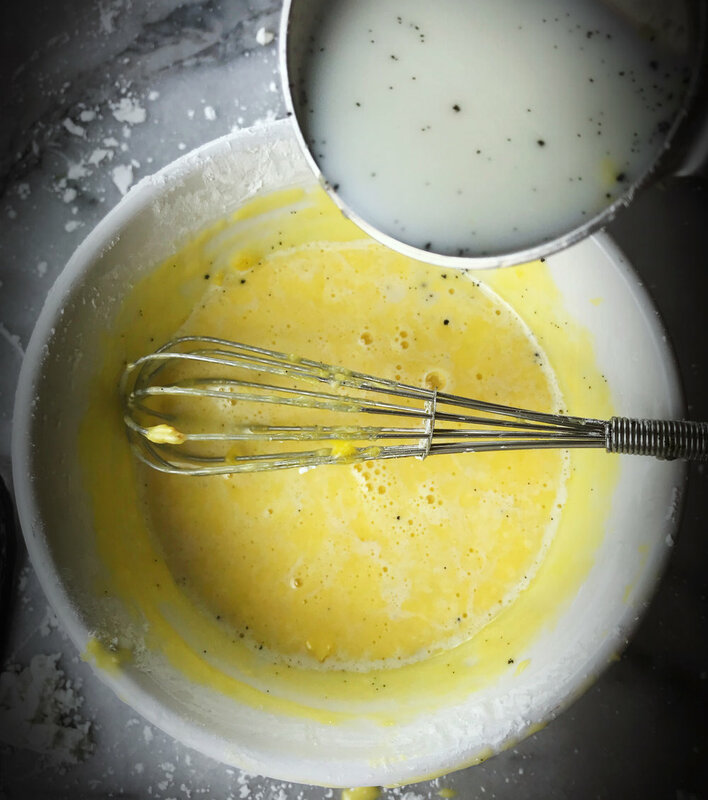 Add about a third of hot milk to egg yolk mixture and whisk until smooth. Slowly add another 1/3, whisk and repeat until add the milk has been incorporated. This must be done in a few steps. If you add too much of the hot milk mixture at one time, you’ll end up with scrambled egg yolks (yuck)! 4. Add the milk and egg mixture to hot milk in saucepan and return to low heat. 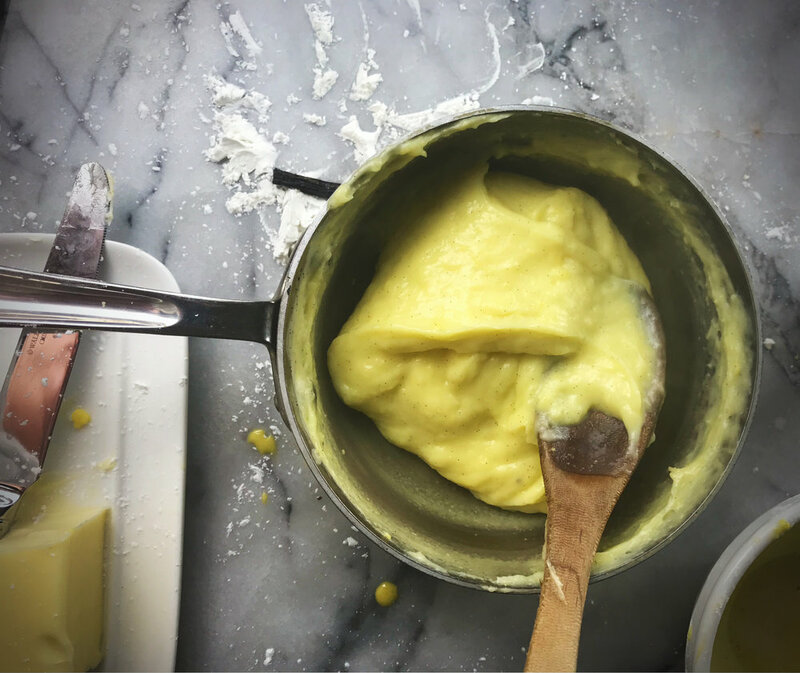 With a wooden spoon, stir slowly and constantly until you achieve a thickened custard consistency. You should be able to swipe a clean line down the back of the wooden spoon. 5. Quickly transfer custard to bowl and mix in one teaspoon of butter. Cover will cling wrap making sure the cling wrap sits directly on the cream’s surface. This will ensure a film doesn’t build on your pastry cream. 6. Cool to room temperature and store in the refrigerator up to 4 days. TIP: for a lighter pastry cream, gently fold 1 cup of whipped cream into the cream.